Allegra Boverman/Gloucester Daily Times. 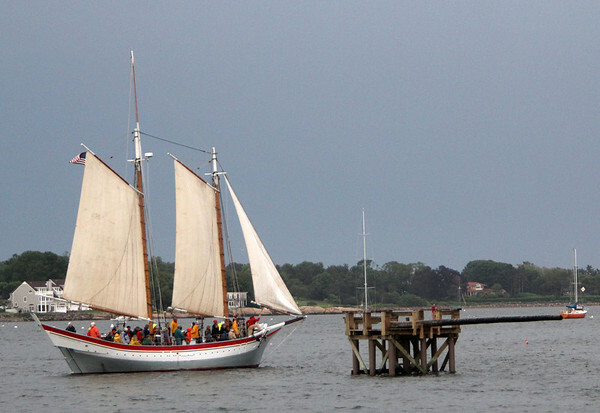 The Ardelle, seen here circling the Greasy Pole platform and the Lannan held a "Schooner Challenge" fundraiser on Monday evening to help support the Evelina M. Goulart stabilization project at the The Essex Historical Society and Shipbuilding Museum. The Schooner Challenge involved the participants in ship-related work - sail raising, anchor weighing, knot tying and other tasks.